We now can call on our Heavenly Father just as Jesus did on the cross when he cried out “Abba!” which is an intimate term similar to our word “daddy.” This puts us inside God’s family and has given us all the familiar access that any son or daughter has to their daddy. Even if you did not have the best relationship with your earthly mother or father, God becomes the perfect parent you may have never had. In his perfect way you are loved and cherished beyond all imagination. This truly is something we should celebrate! 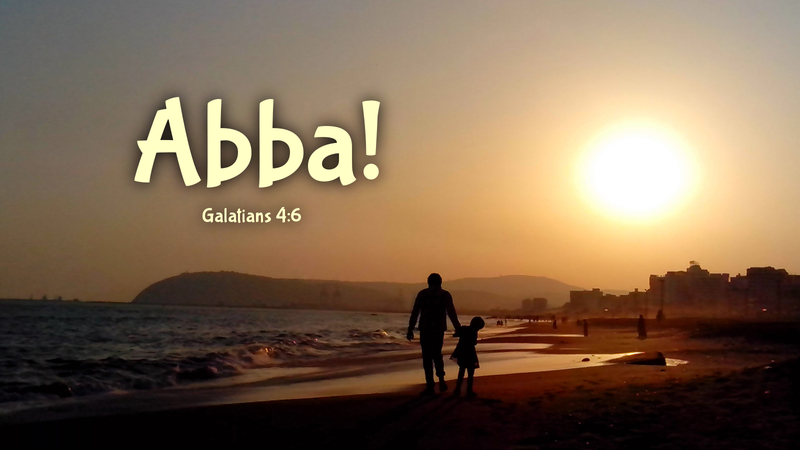 Prayer: Abba, attend to my needs and show me your abundant life and love. Amen. Today, we have so many estranged family relationships. Becoming a father doesn’t bring on the Abba title like it once did. On the TV series NCIS, Ziva, a Jewish woman had a strained relationship with her father and walked away from a meal at her NCIS Bosses house where her father was a guest. Shots rang out, her training as an agent kicked in and she ran towards the shooting to find everyone shot and her father dead. She cried out while crying, Abba, Abba. Much the same way we should call out to our Heavenly Father.